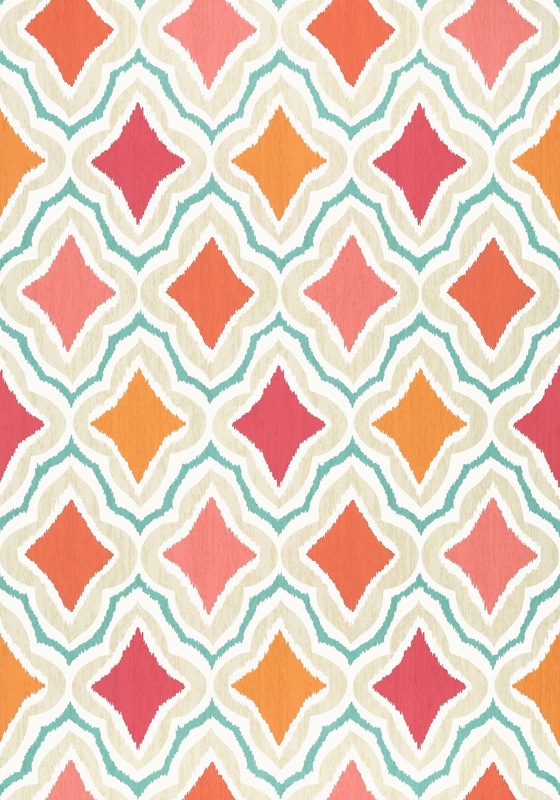 Thibaut (pronounced Tee-Bo) is on SALE NOW – SAVE 20% on Fabrics and Wallcovering! 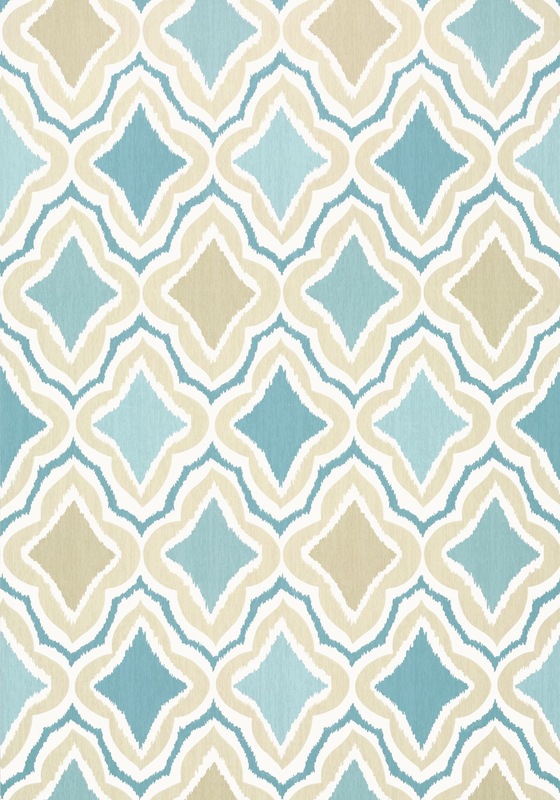 From the Trade Routes Collection, this pattern “Crusing” is available in 4 colorways in both fabric and wallcovering. 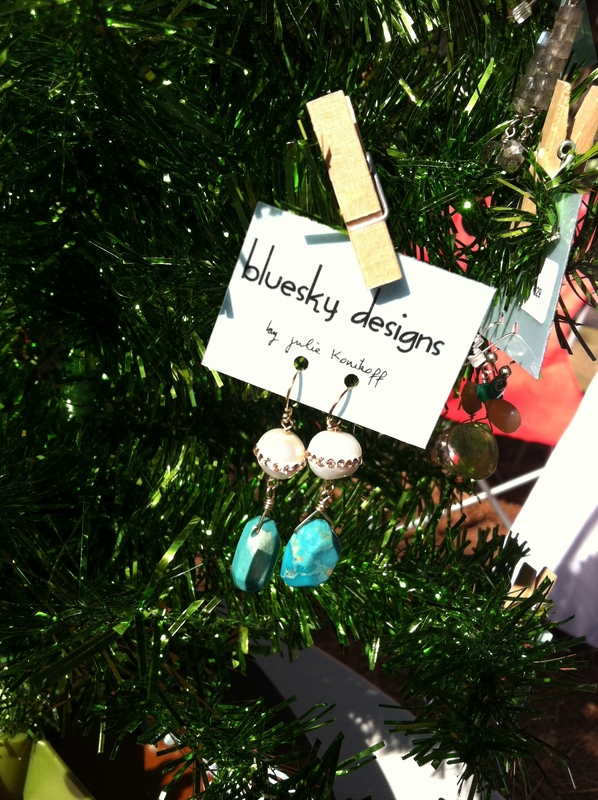 Visit the shop at 1410 Market St., Tallahassee for more details. 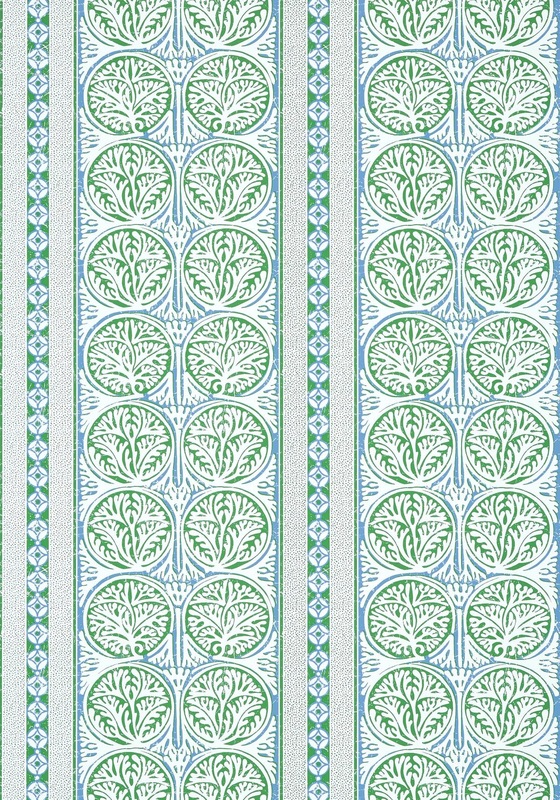 Available in both wallcovering and fabric, the pattern is Fair Isle, shown in blue green, but available in 3 more colorways. Our friendly staff will be glad to assist you in placing your order. Plan by the tides and follow the sun. 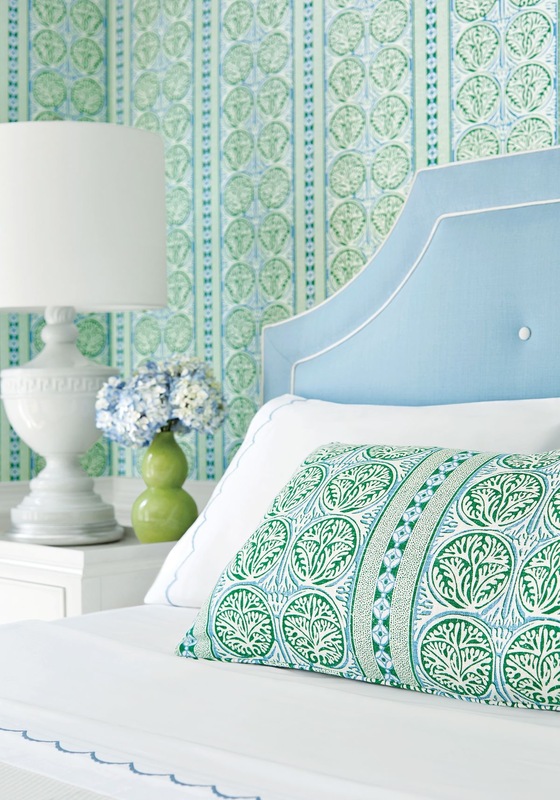 These thoughts and more have been combined and materialized into Thibaut’s Biscayne Collection. 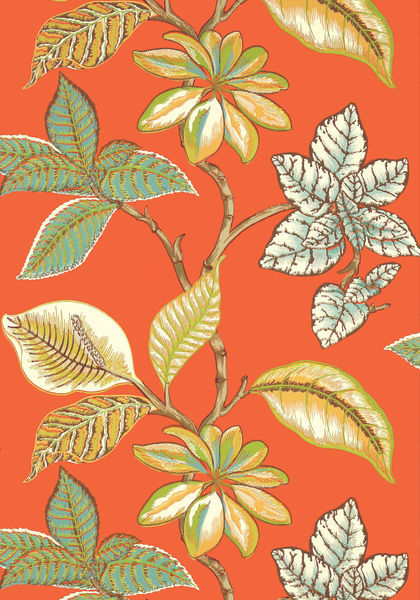 Boasting a full range of wallcoverings, linens, embroideries, cotton blends and more, the Biscayne Collection blends soothing neutrals and energizing bright colors with designs sure to emanate cool, easy-going Bahamian vibes. 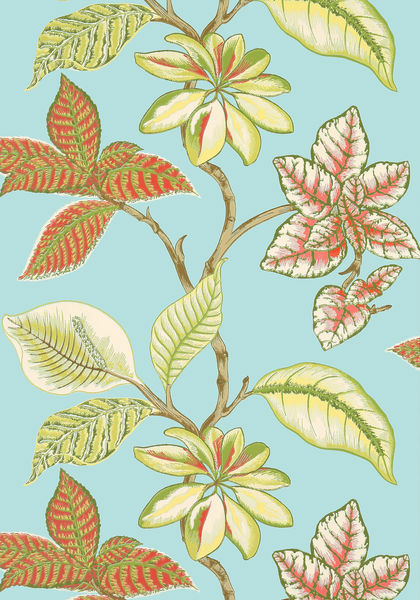 Island inspired leaves branch out in Lucala in a bountiful assortment of colors in rich wallpaper, flowing printed fabric, and one truly stunning embroidery. 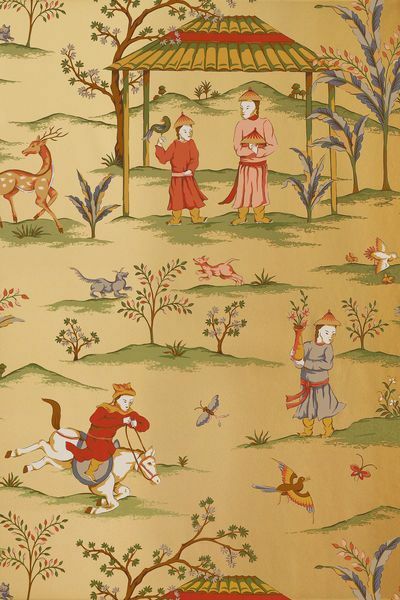 Established in 1886, Thibaut is the nation’s oldest continuously operating wallpaper firm. 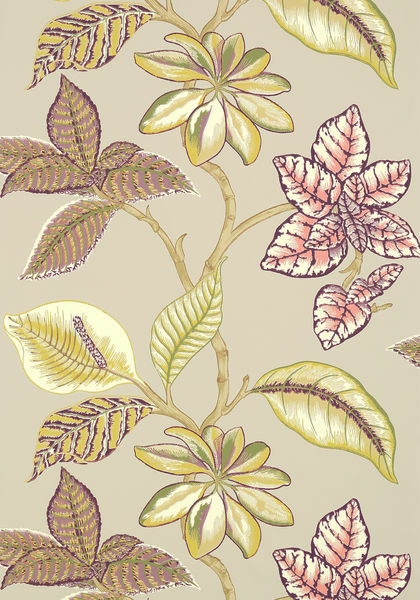 Over the years the product offering has broadened to include a variety of wallcoverings, coordinating print fabrics, embroideries and woven upholstery fabrics. 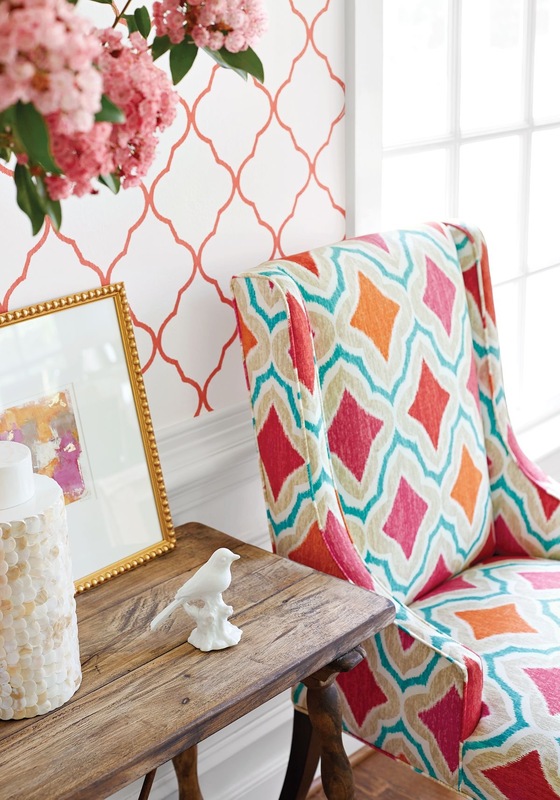 The launch of an upholstered furniture line established Thibaut as a highly desirable resource of all product categories favored by designers and up-scale consumers alike. 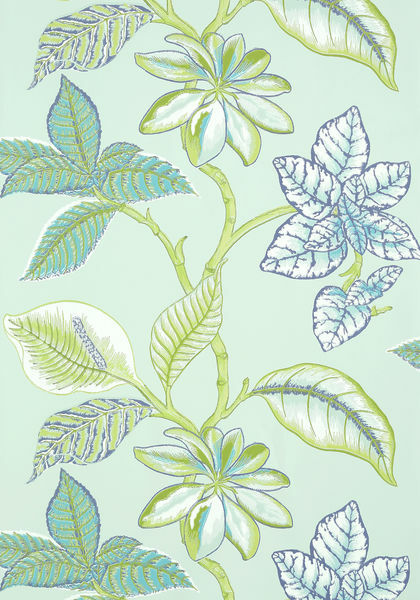 Chrysalis Fine Fabrics is your Tallahassee retailer for Thibaut Fabrics, Thibaut Wallcoverings and Anna French. If that Plantation Lifestyle speaks to you – get ready to love this custom project! It’s no wonder that many of our clients are from the surrounding tri-state area. 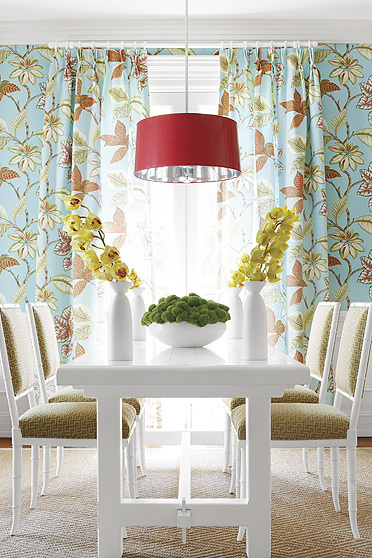 Chrysalis Fine Fabrics is the largest in-stock decorator fabric showroom in N. Florida and S. Georgia. 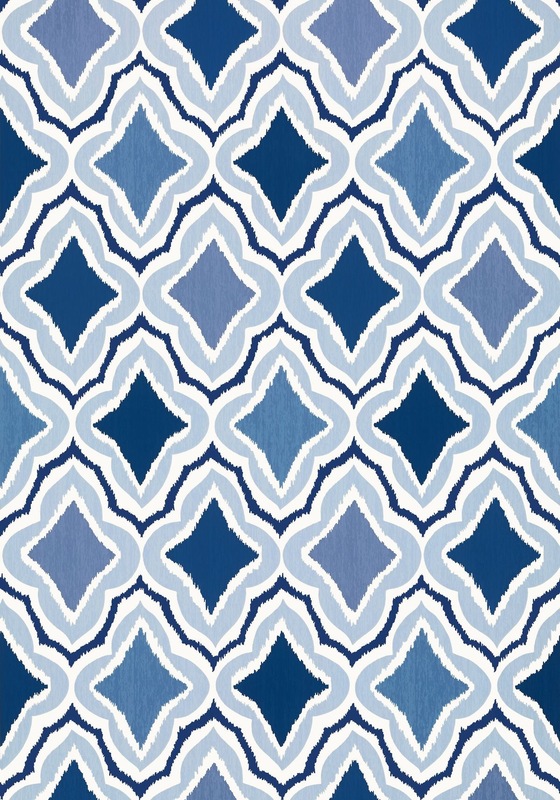 Since we’re in the heart of plantation country and those who enjoy the plantation lifestyle, our designer projects often include fine fabrics from Scalamandre, Lee Jofa, Roth & Tompkins to name a few. Recently, Designer Krista Vickers had the privilege of working with such a client for both their Florida and Georgia homes. 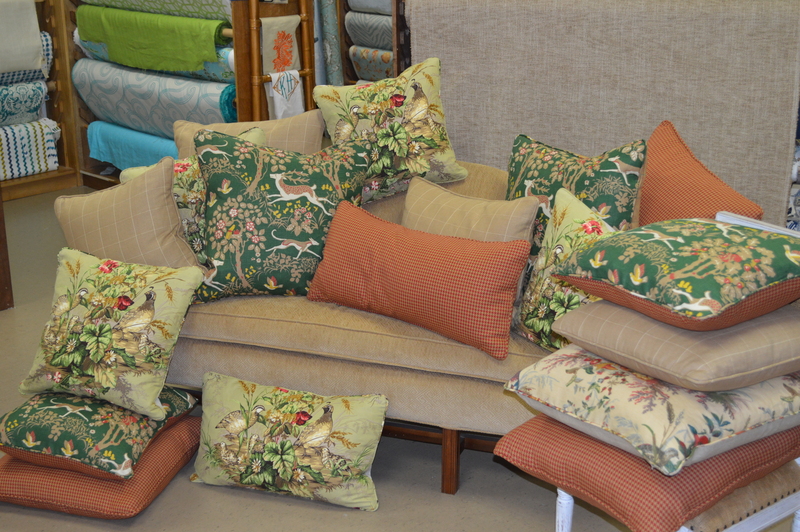 Here is just a sampling of the beautiful custom pillows that will enhance the warmth and feel of these welcoming estate homes. 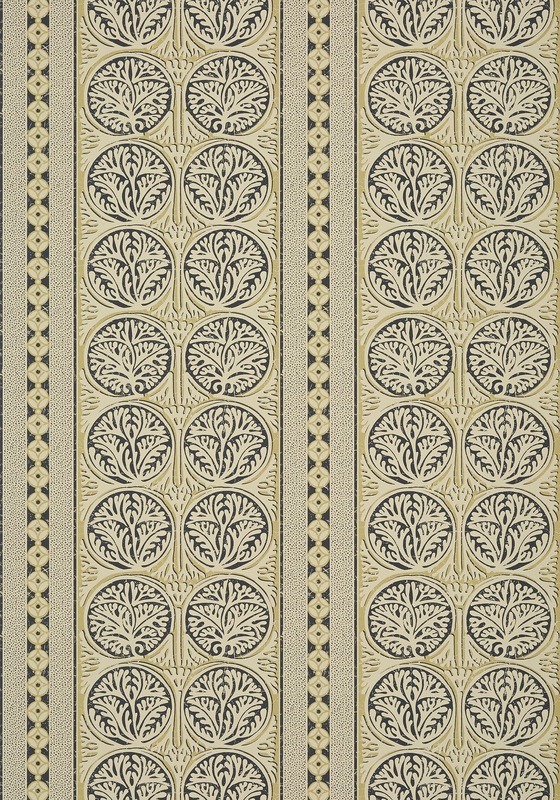 Edwin’s Covey, from Scalamandre is a hand printed union cloth blend of 70% linen and 30% cotton. 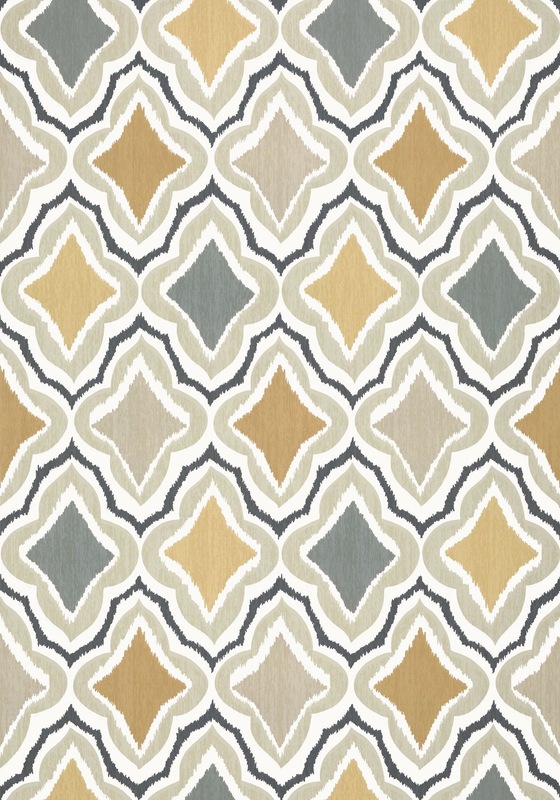 The color is Multi on Willow and the detail is exquisite, making it the perfect choice for the quail enthusiast. 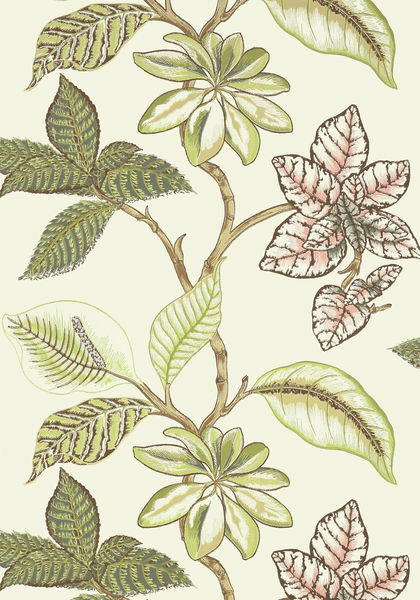 Lee Jofa Mille Fleur is a print of beige, green, burgundy/red of 100% linen. 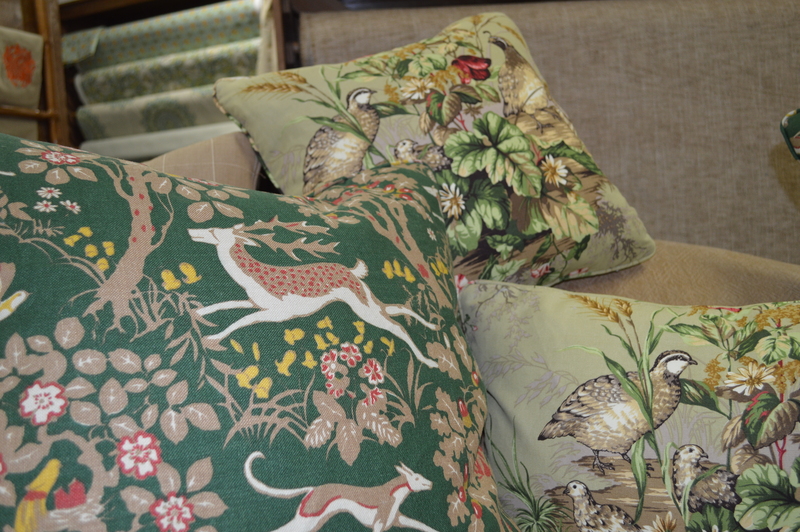 Besides the pillows, this customer chose two winged chairs in this same print. Gorgeous indeed! It’s always a designer’s preogative to mix a small scale pattern with the larger prints to add color, texture and interest. This Hunt Club Houndstooth in Terra Cotta is one of Krista’s favorite cotton fabrics; and a perfect option from Roth and Tompkins. Whatever your style or your design dreams for your home, when it come to textiles, rugs, wallpaper – we’re Tallahassee’s source for it all! From concept to creation, from inspiration to installation – #wedocustom. 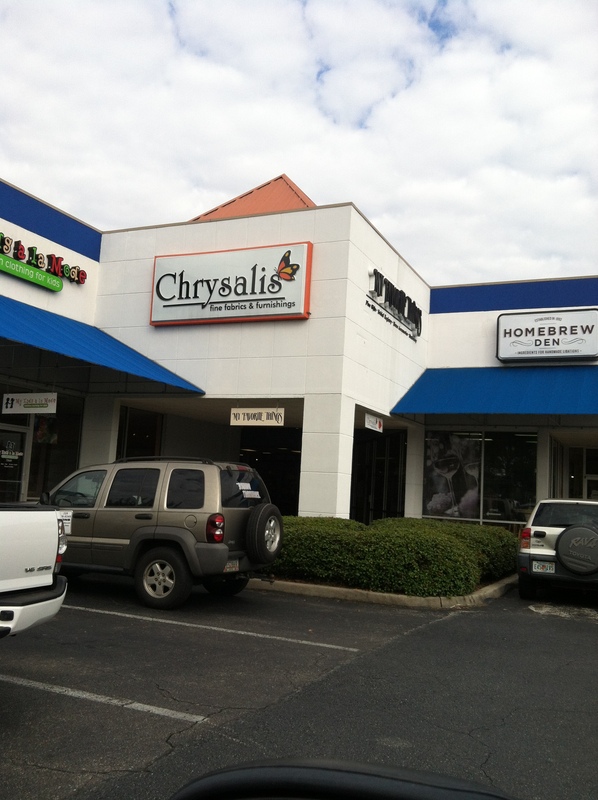 Call 850-224-2924 or stop by Chrysalis Fine Fabrics in Tallahassee’s Market District at 1410 Market St. Follow us on Facebook, Pinterest or Instagram to see what other great designs we created for our customers. 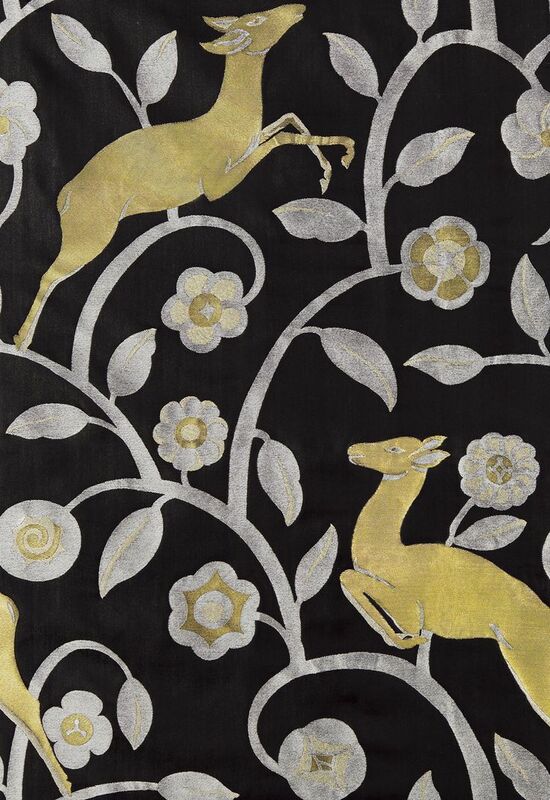 Or just stop by to browse the largest in-stock fabric selection in the area. Our talented and friendly staff is always ready to serve your needs. 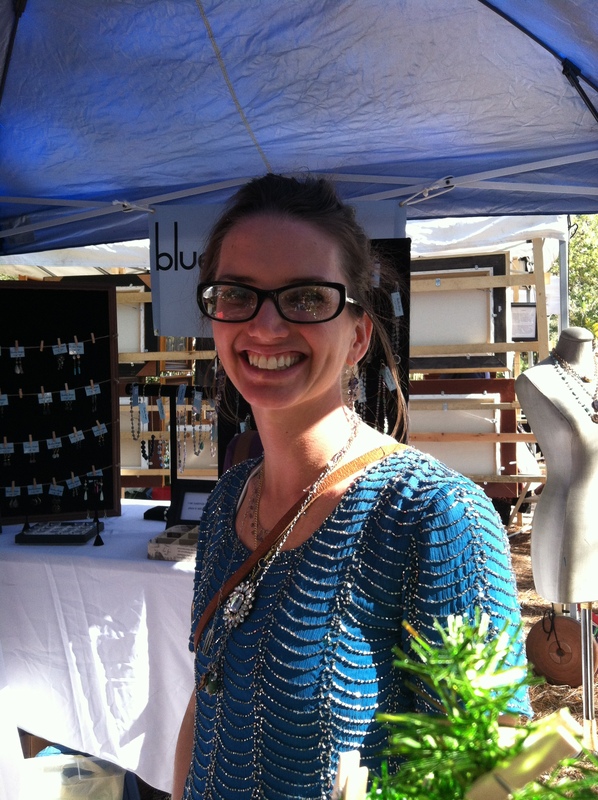 Krista Vickers started working at Chrysalis as a college intern because of her love of textiles. 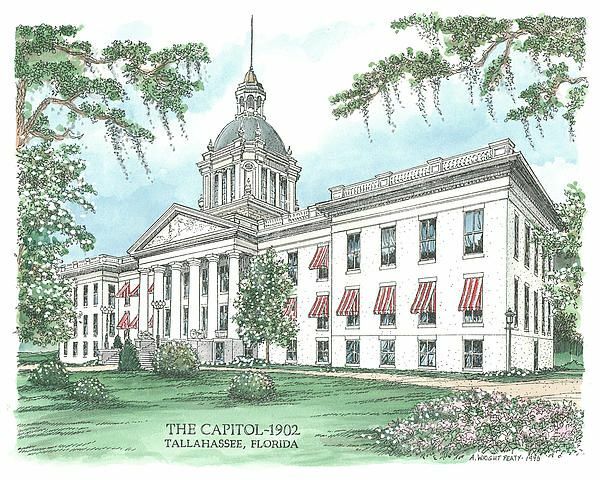 Her family moved to Tallahassee and made it their home when she was 17, and she graduated from Lincoln High School. 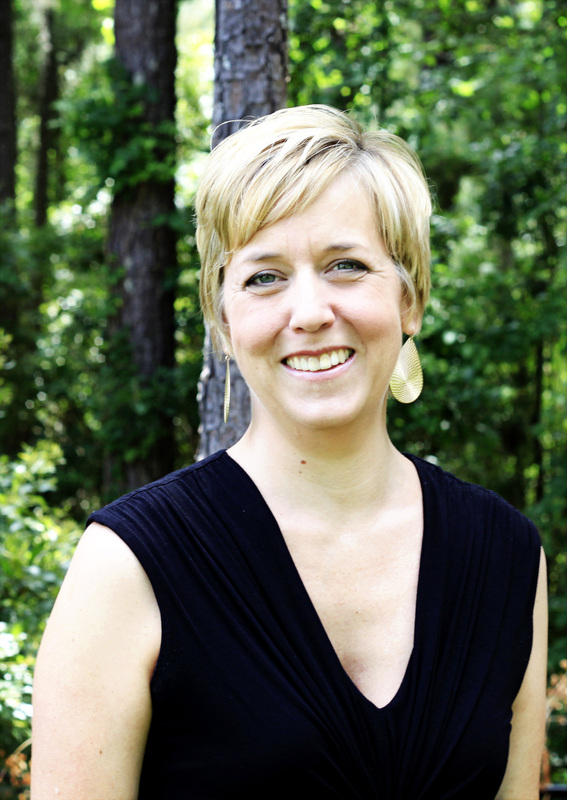 After obtaining her Bachelor’s Degree in Interior Design from Florida State University, Krista continued in her studies receiving a Master’s Degree in Housing with an emphasis in Residential Development and Product Specification. 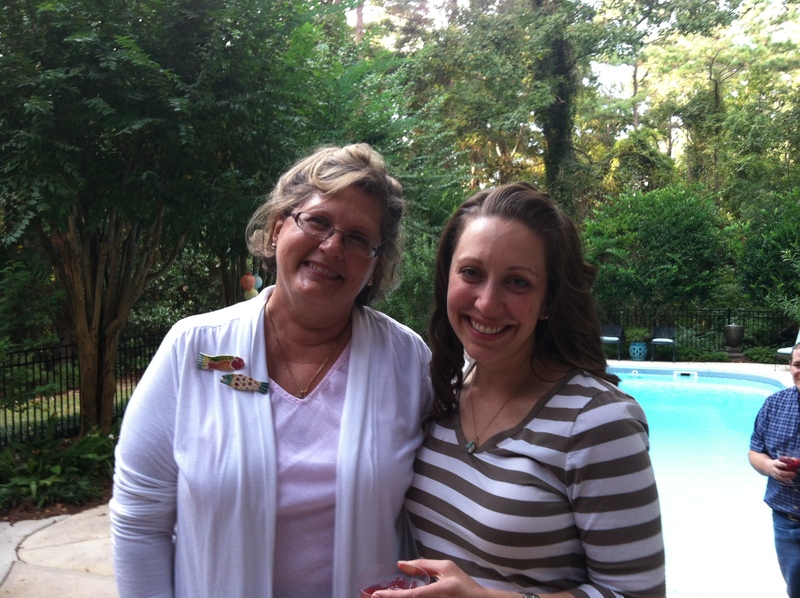 She strives for excellent customer service and loves helping customers create their dream home. Krista and husband David, from Havana, reside on their farm with two wonderful pets – Piper the cat and a dog named Cassie. 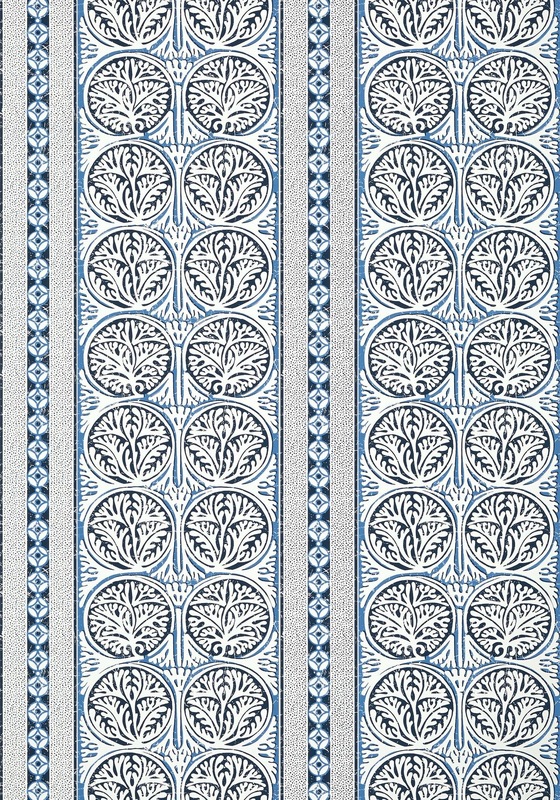 Designing a Room? Start with a Beautiful Fabric! In a recent article at freshome Design & Architecture Magazine, our beliefs were confirmed regarding the basis for interior design in #6 of 10 Mistakes That (Almost) Everyone Makes in Interior Design. “A common mistake that most of us are guilty of—painting first. Put that paint brush down! 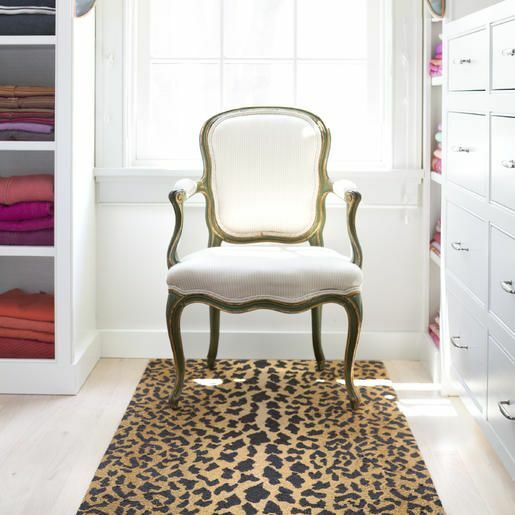 First, you need to pick out the rooms fabrics and main textiles, such as rugs and curtains. Why is this? 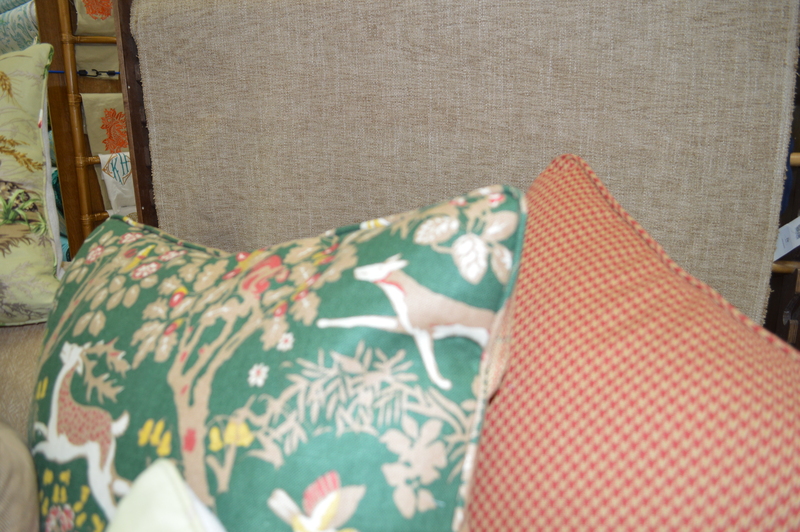 Because it is simply much easier to find fabrics that we love and then pick out paint to match. 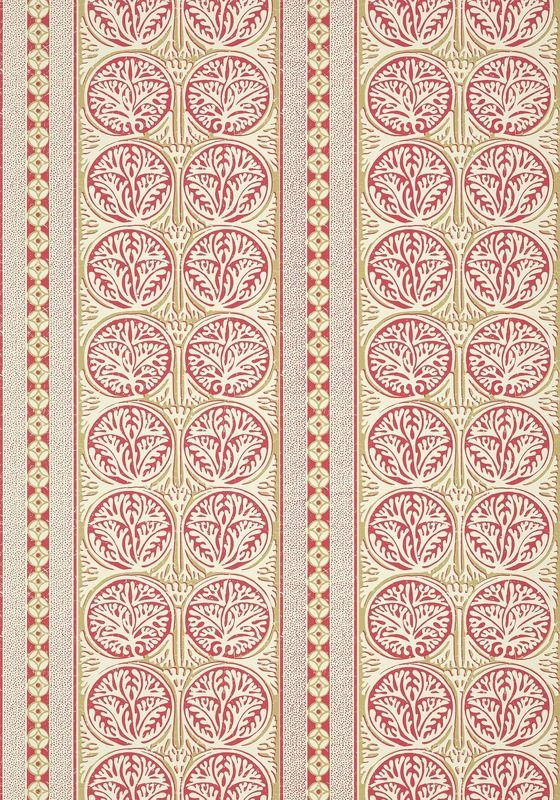 While it is much harder to find a fabric that we love, that also just so happens to match the paint we have already put on our walls. 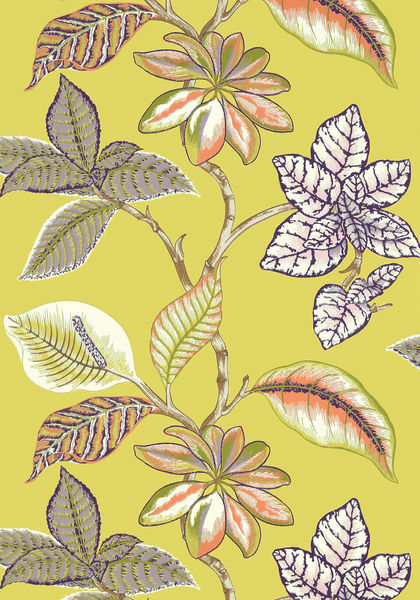 Of course, textiles are near to our heart and this article served to reinforced our belief that fabulous designer fabrics are the perfect start to a room design that you will love for years to come. 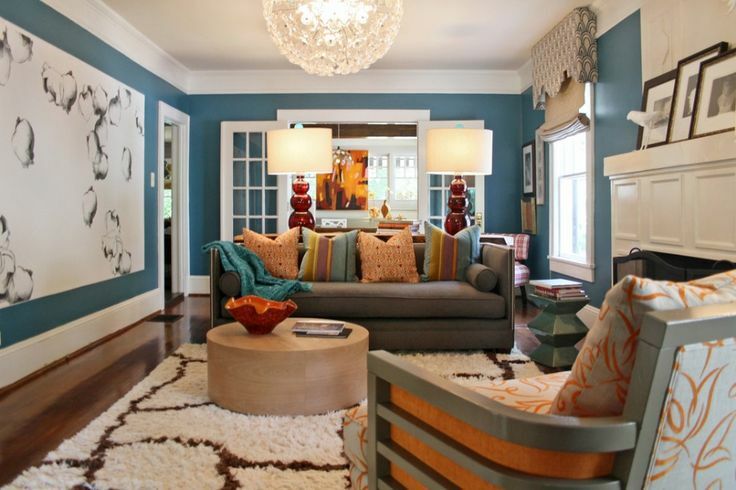 Find this and many other design tips and tools on our Chrysalis Pinterest page! 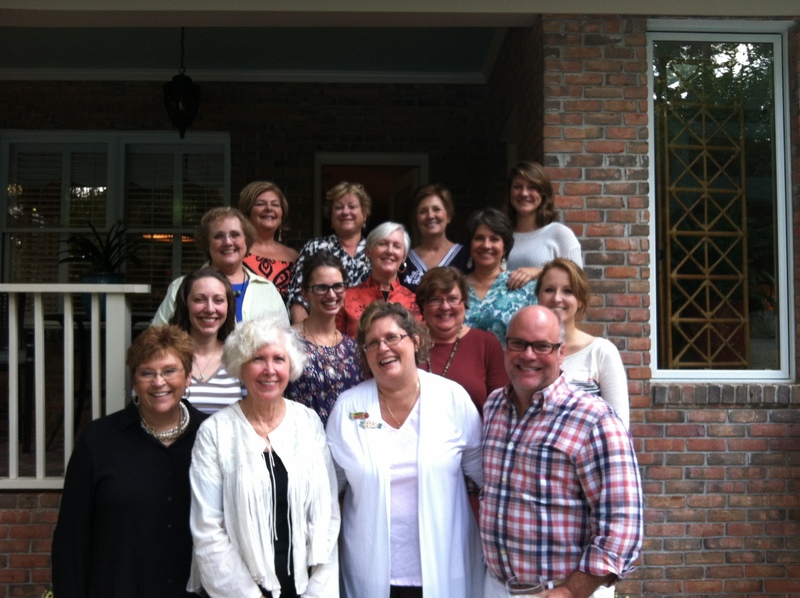 Significant milestones are worth celebrating and yesterday, with full hearts, we celebrated! 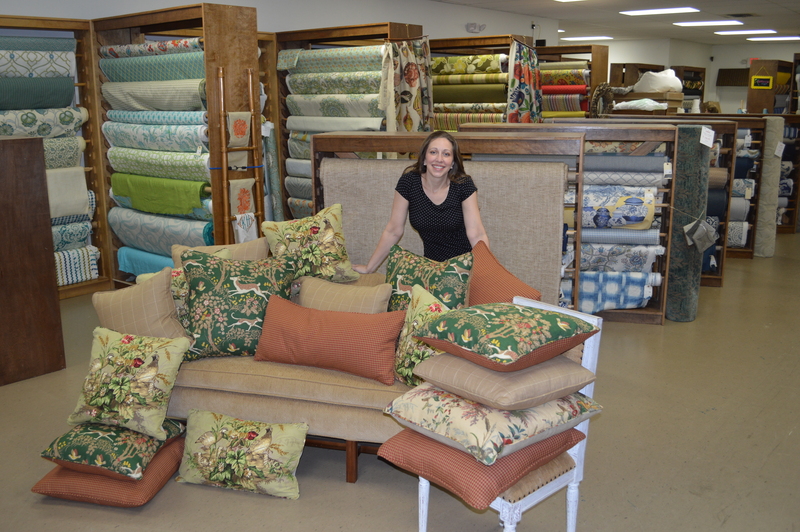 Having been at Chrysalis Fine Furnishings & Fabrics for 28 years, Suzanne Conner feels close connections with co-workers and customers through the relationships she has formed. 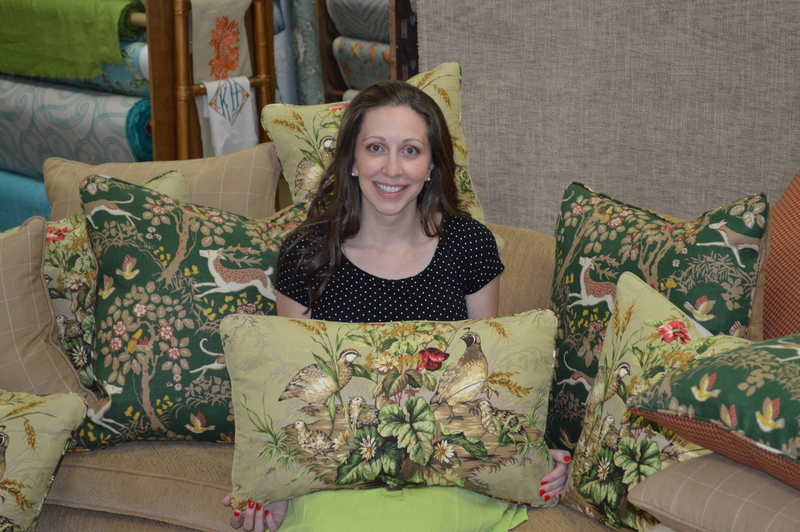 Her talent in understanding and using color has served her well in coordinating decorator fabrics and home design projects for Chrysalis’s customers. She began her career while still in college working for Arlene Wingate, then owner of Chrysalis Fabrics. 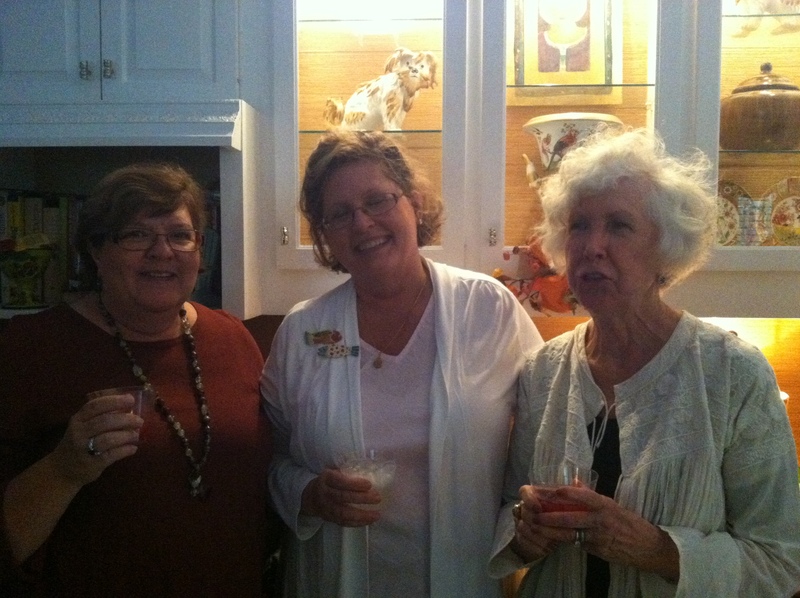 Arlene brought Suzanne on board and under her creative wing. She taught the young student design principles and shared her expertise as she trained Suzanne in the industry. In 2005, Chrysalis was sold and new owner Susan Hugunin moved the designer fabric shop to The Market District . Suzanne quickly developed a close working relationship and personal friendship with her new employer. A few years ago, Suzanne discovered her passion for painting, incorporating her love of color and creativity. 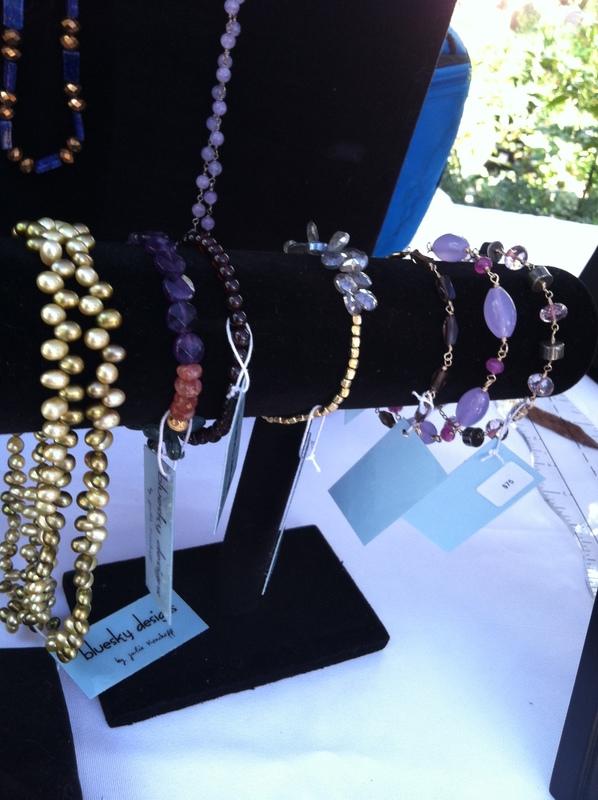 The developing artist debuted her talent during The Art of Summer Living event (2011) and currently shares her artwork in the local community selling at local art shows, via Facebook and on her blog, Firefly Evenings. In pursuit of her love of painting, Suzanne will leave Chrysalis Fabrics and devote herself full time to her art. This Thursday will be her last day on the job, and although we will miss her terribly, the staff of Chrysalis wishes her the very best from the bottom of our hearts. On Sunday at a small gathering of co-workers, we celebrated Suzanne with hugs and warm wishes for a bright future in the arts and cherished the heart-felt moments. We enjoyed food, flowers, pear cake (thank you Bryant) and fond memories of the days we’ve shared. Thank you Danna for a very special celebration! 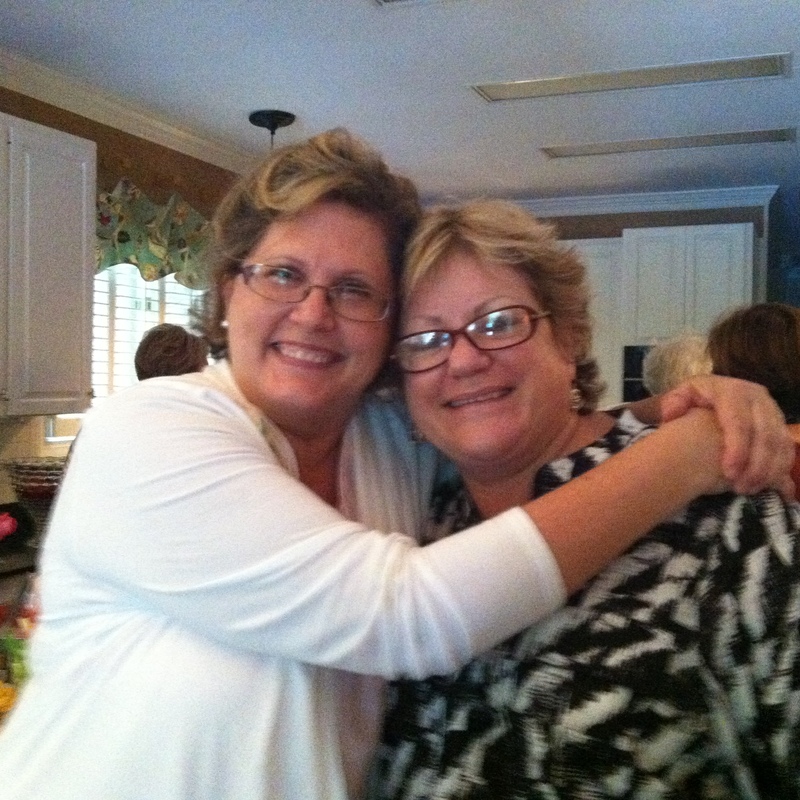 You are a wonderful friend, co-worker and the perfect hostess! 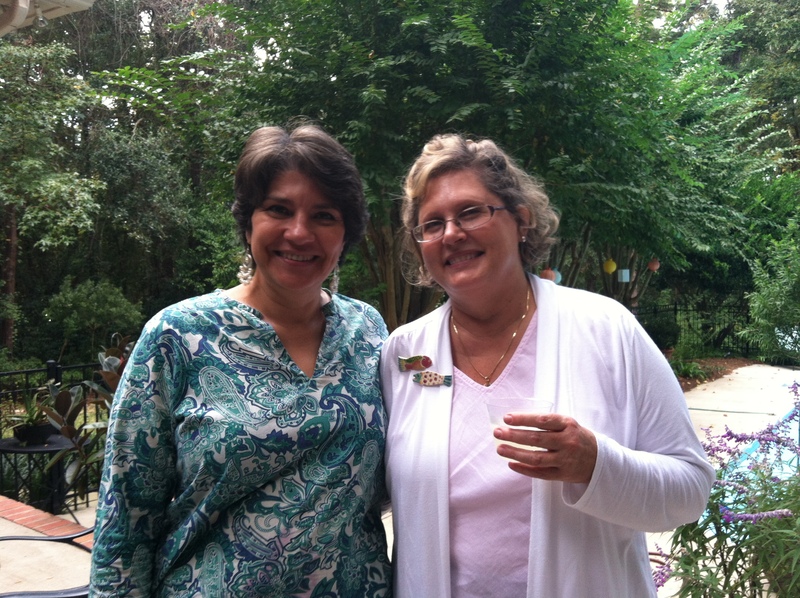 This Thursday will be Suzanne’s last day at Chrysalis. We invite the public to stop by the shop and let’s show our support with love and best wishes as she pursues her passion in art. 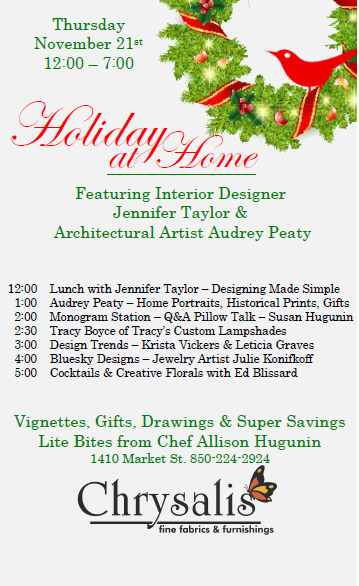 1410 Market St.